A Huge THANK YOU to all of our sponsors, CT National Golf, all those businesses that contributed to a raffle and to all of those that played! Join us at CT National on May 11th for the 2018 Killingly Brooklyn Rotary Golf Tournement. This is our 25th Anniversary. 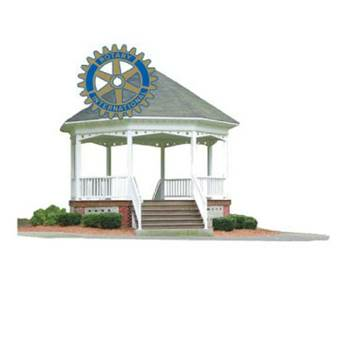 Once again, The Entire Killingly-Brooklyn Rotary Membership THANKS YOU! Pledge of Allegiance: Lynne opened the meeting with the pledge at 7:00 a.m. Prayer: Judy led the club in prayer. Birthdays: Sarah’s husband, Elaine’s on Tuesday, Chris’s niece’s husband. Honors: Lynne, Donna, Judy and Elaine for Sean who host the Holiday Party. Correspondence: Notice from Rotary International regarding the updating of membership due by December 31, 2016. Speaker: Helen Furland shared the story of the Diaper Bank of Northeastern CT. It began in June of 2011 and is now a member of the National Diaper Bank which is located in North Haven CT. Karen Osbrey and Kathy Peterson, members of the Interfaith Human Services of Putnam (ISHP), saw a need for diapers in the area and began the program under the ISHP umbrella of services. Through a contact with Huggies the Villager was able to secure 40,000 diapers. The Windham Container company has been a community partner by taking the shipments of diapers, storing them and delivering them as the need arises to the diaper bank. Today they have 4 mobile diaper banks, TEEG, Ashford, Killingly and Plainfield serving 325 babies with 100,000 diapers per year. Records are maintained to help apply for grants and other forms of funding. It is an all-volunteer effort. They assist with HUSKY, food stamps, WIC and toilet training kits. They also give diapers to Generations and Nurturing Families. Trivia: Judy had the answer and received a pin. Raffle: Lynne raffled a Foods & Fudge Gift Certificate – Kathy won. Kathy also won the weekly raffle with the Queen of Diamonds. She donated her $10 to the dictionary fund. Closing Reminder: Keep the Wheels of Rotary Turning!